It has been a worrying week for investors on the JSE particularly for shareholders of Aspen Pharmacare and Tongaat Hulett. The two stocks have come under considerable pressure following the release of their financial results. This further dampens confidence in a market that is struggling to attract foreign capital inflows given that developed markets such as Europe are implementing a new phase of quantitative easing. 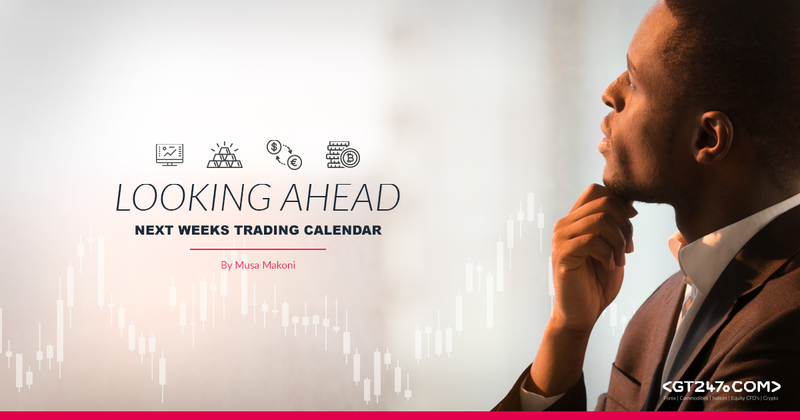 The local bourse has struggled to gain any significant momentum as it has taken a leaf from global markets which have been paying close attention to the developments with Brexit. The sterling pound has seen some wide swings over the past week on the back of these developments. On the commodity market, crude oil prices remain steadfast as Saudi Arabia has pledged to maintain output cuts and deepen them if necessary. Over the next week attention shifts to rate decisions from some of the world’s largest central banks. Focus will be on central bank policy with regards to asset purchases given that the ECB has already taken the first step to shore up liquidity in the Eurozone. I have highlighted some of the key events that you need to look out for below. Monday kicks off with the release of Trade Balance data out of Japan at 1.50am, which will be followed by the release of Industrial Production data at 6.30am. On the JSE, we are expecting earnings results for Advtech Limited and Ascendis Health Ltd.
On Tuesday key data is expected out of the United Kingdom namely the Average Earnings Index, Unemployment Rate and Claimant Count Change data at 11.30am. The USA is expected to release its Factory Orders data at 4pm. On the local bourse we are expecting earnings results from Alaris Holdings, Sun International and Sasfin Holdings. On Wednesday we have the quarterly JSE equity derivatives and futures close out. At 10am Statistics SA is expected to release South Africa’s inflation numbers for the month of February, while at 1am we are anticipating SA Retail Sales data for the month of January. In terms of earnings results we are anticipating earnings from South Ocean Holdings and Afrocentric Investment Corporation. On the international front, we are expecting CPI and PPI data out of the United Kingdom at 11.30am. Later that evening at 8pm, we are expecting the US Fed to announce its interest rate decision which is expected to leave rates unchanged. The press conference will follow at 8.30pm. South African equity markets will be closed for Human Rights Day on Thursday. On the international front we are expecting Australia to release its Unemployment Rate and Employment Change data at 2.30am. At 10.30am the Swiss National Bank is expected to announce its interest rate decision and the bank is expected to leave rates unchanged at -0.75%. At 11.30am, the United Kingdom is expected to release its Retail Sales and Public Sector Net Borrowing data. At 2pm, attention will shift to the Bank of England for its interest rate decision. The bank is expected to leave rates unchanged at 0.75%. At 2.30pm, the USA is expected to release the weekly initial jobless claims numbers and we are also expecting the release of the Philly Fed Manufacturing index reading. On Friday we are expecting Manufacturing and Services PMI readings from most of the world’s biggest financial centres including the USA. In addition, the USA is also expected to release its Existing Home Sales numbers at 4pm, as well as its Preliminary Wholesale Inventories data.